Of the 33 seats on Students’ Council, six are reserved for student representatives from the faculty of arts. A total of seven candidates are running for those spots: Juan Vargas Alba, Chris Beasley, Yiming Chen, Talia Dixon, David Draper, Abigail Isaac, and Yejide Omotoso. Originally, another candidate, Nelson Dakurah, was running for a seat. However, he has since renounced his candidacy. Juan Vargas Alba: I’ve been involved in governance for a few years, always looking from the sidelines. 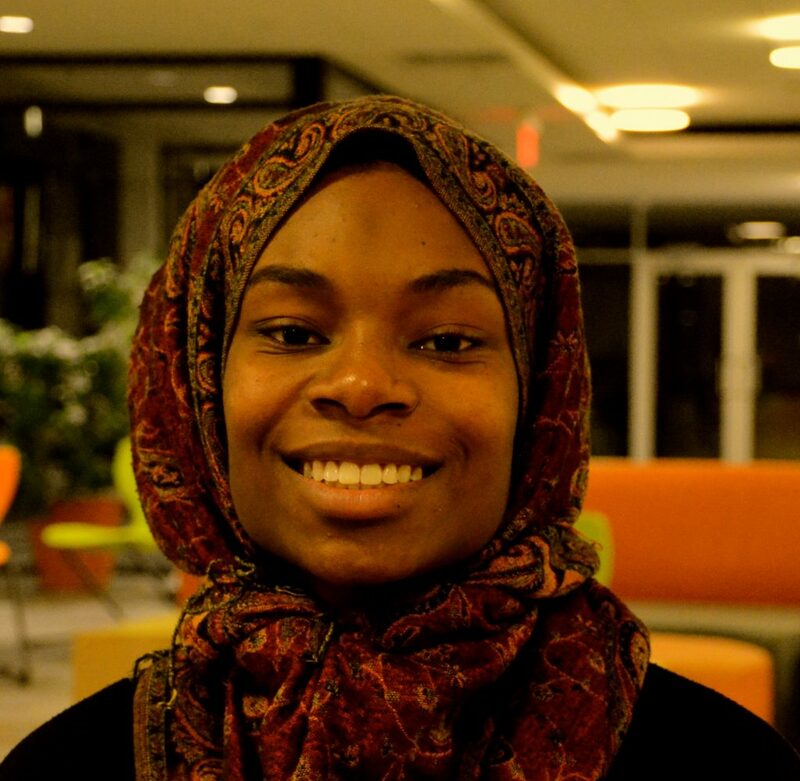 I wanted to [make] a difference by working towards outcomes that create the university we want to envision. Being the STRIDE coordinator helped me accomplish this, but I wanted to bridge it to advocacy work as a councillor! Chris Beasley: I believe I could make a positive impact and be well-positioned to do good work. 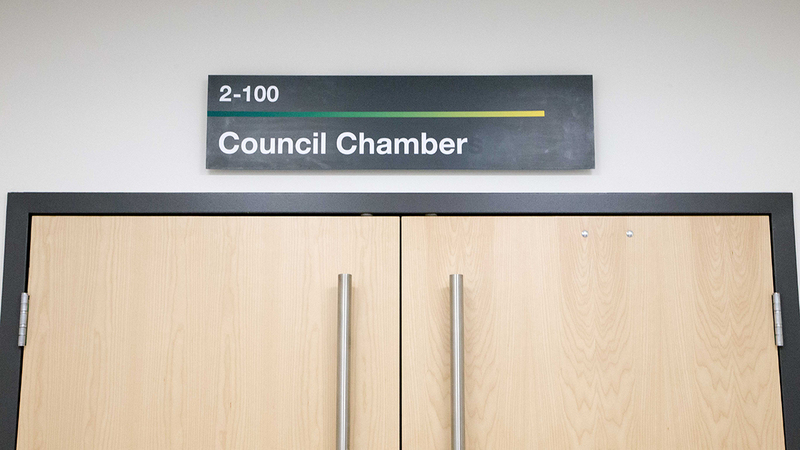 Students’ Council has the ability to shape the community at the University of Alberta. The Students’ Council funds a number of critical services such as The Landing, Peer Support Centre, and Campus Food Bank; I want to ensure these are all protected and advocated for. If elected, I hope to be appointed to the finance committee. I think my background in the Organization for Arts Students and Interdisciplinary Studies (OASIS), will help me represent the interests of arts students on the university-wide level that protects and enhances their post-secondary experience. Yiming Chen: Student advocacy is important. I could represent students’ voice and want to make a change. 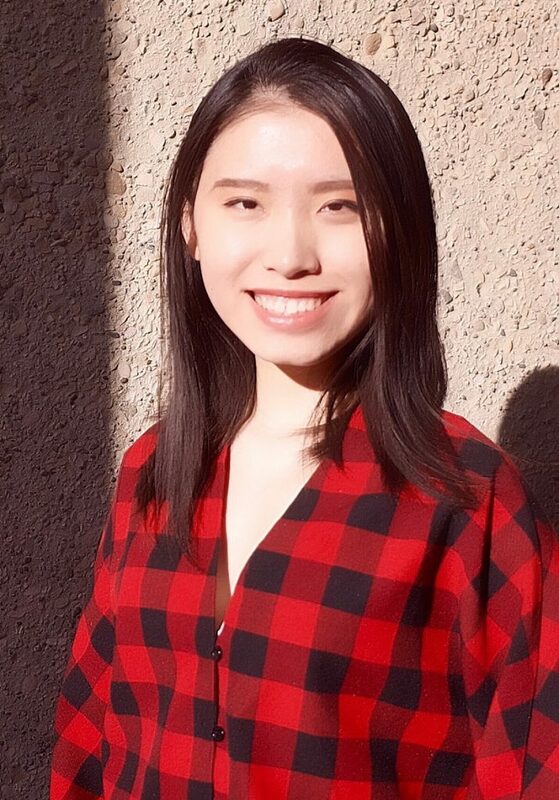 Talia Dixon: There is a lack of women in leadership positions at the U of A. I would like to see that changed. I have decided to run with the goal of encouraging and motivating other women and minority groups to pursue these leadership positions. I am also running because I want to address issues of environmental and social sustainability on campus, as well as accessibility for those with differing abilities. 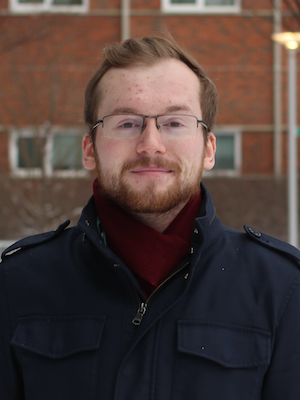 David Draper: I believe I bring a strong voice to arts students and will make sure our interests are heard. [Further], I want to increase council accountability to students and increase student services. I will work to ensure all my colleagues hold themselves, and council, to a high standard. I also want to make sure department associations are properly consulted and helped, and I believe my time on OASIS will help me do that. 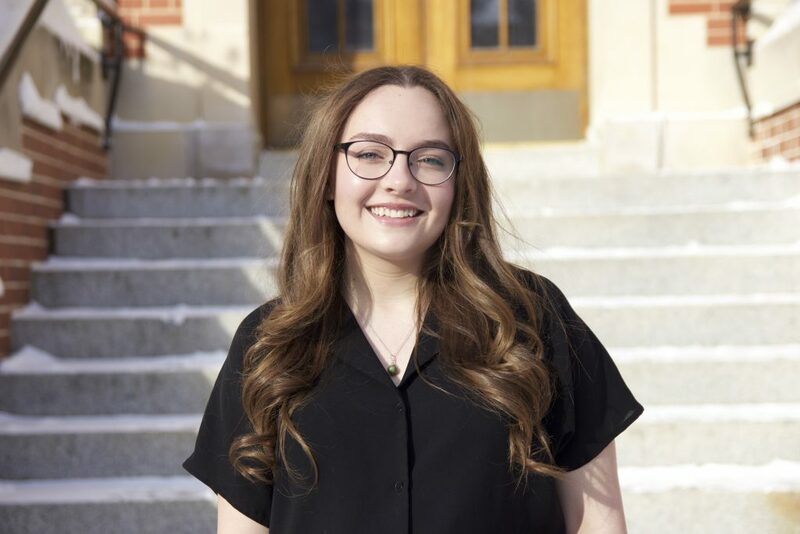 Abigail Isaac: I am running for council because students at the U of A deserve an executive that follows through on their promises. We deserve the opportunity to shape the future of our university in accordance with our vision. Students in the faculty are entitled to a campus experience that prioritizes accessible academic advising services in order to successfully pursue their degree. Furthermore, student leadership needs to be a more inclusive and accessible environment for everyone. Campus ‘involvement’ should not be contingent on making the decision to sacrifice the ability to pay for tuition, residence, or other barriers students face on and off campus. Yejide Omotoso: School is a perfect opportunity to get involved and to take the time to gain knowledge and skill. But it doesn’t serve its purpose when students are overwhelmed. It’s reasonable to say a student should never have to work overnight shifts, or multiple jobs, to cover the costs of their education and accommodation. There should be time for everyone to partake in the variety of student groups, including the many opportunities for governance on campus, and to actually learn the material they pay to study. Each student should be able to look back on the time they spent contributing to campus life, rather than “I had much to complain about”. Running for Students’ Union and General Faculties Council, I have many plans to make university an exciting place. 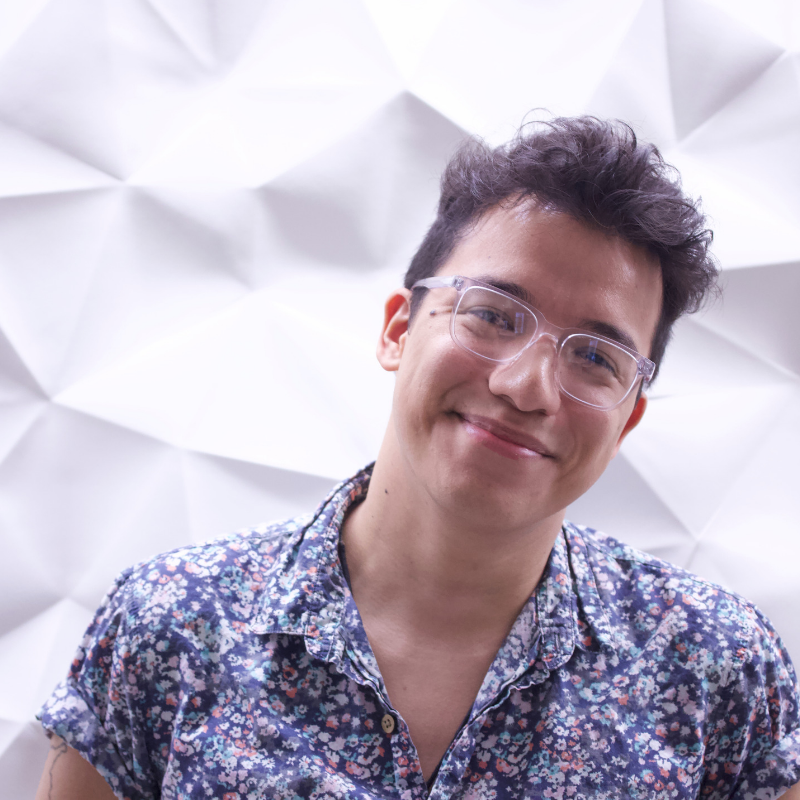 Vargas Alba: I’m a big advocate for showing up to where people are instead of expecting them to come find us. I don’t think it’s good governance to expect those you represent to mobilize to you, and I would stay accountable by engaging constituents by showing up. It’s also having an existent social media presence that people can engage with, and where people know how to access/contact me. Lastly, it’s developing a culture of encouraged feedback and criticism from constituents. Beasley: I really believe in the value of in-person communication. To that end, I think hosting weekly office hours is great way to ensure my constituents can hold me accountable. Outside of that, having published access to my email and contact information also allows me to be accessible to those I hope to represent. What I would hope to do is to publish updates after every council meeting, showing what important decisions were made and how I voted. This transparency would allow any of my constituents to hold me accountable. Chen: Study policy and make amendments, share ideas in the SU meeting, cooperate with executives. Dixon: I will stay accountable to my constituents by focusing on listening-based leadership. Too often are people in elected positions focused on being heard rather than listening and seeking solutions. I want to consult students in my classes, friend groups, and clubs on a daily basis about campus issues. I also want to go the extra step and table, do one on ones, and forums to get peoples opinions on council issues. And if it turns out the idea I have is wrong or misinformed, I will change it to truly represent arts students. Draper: I will continue my track record of open and consistent office hours from my time on OASIS. I will also be doing monthly online office hours to ensure students who may not be able talk to me in person still have a chance to have their voice heard. I also want to bring forward more town halls and have a strong policy of consultation with department associations and faculty associations. Remaining accountable to students shouldn’t be an issue, it’s just part of the role. I want to make sure every councillor knows that the true highest governing body of the SU is the student body, and it is our job to listen to them. 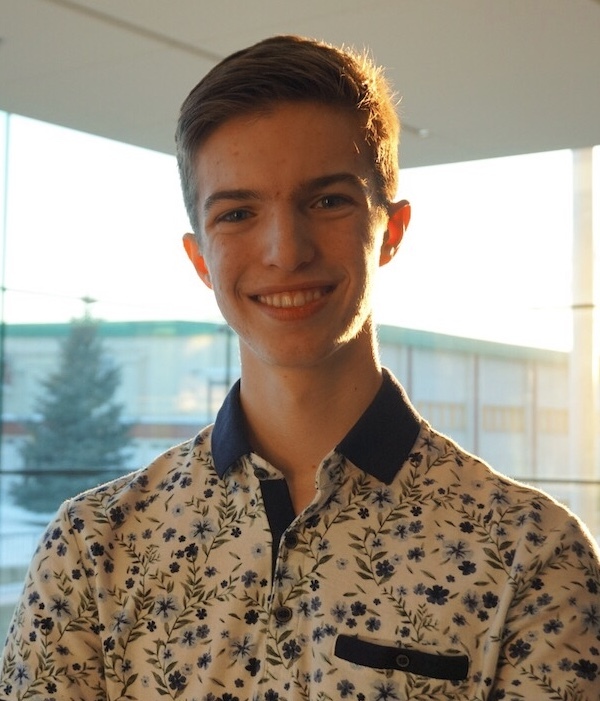 Isaac: I plan to create two surveys in order to collect feedback and determine the extent students feel their needs are being advocated for in council. The initial survey would be conducted at the beginning of the term, and would record expectations students have for their representatives. The second, conducted mid-term, would determine the level of satisfaction arts students have in regards to how they feel they have been represented. Omotoso: I’ve always been passionate about making progress and actively representing the needs of students, and quite enthusiastic to do more than occupy an empty seat. Vargas Alba: The key to this is knowing how to be critical and when to be critical of motions. We are elected to be critical and to communicate our criticisms, and choosing not to do this when it’s warranted means we are letting down our mandates. I would respond to a difficult motion by being vocally critical not only within council, but also by explaining those criticism to constituents. Additionally, choosing to be critical means accepting criticism, so my response to a difficult motion includes the ability for constituents to be critical of me. A few avenues to encouraging that include: personally reaching out to constituents online and in person; seeking online feedback, as arts councillors did for the student spaces levy; or by holding a town hall. Although, I’m interested in looking beyond town halls as our most direct method of engagement, since they don’t often get the best turnouts. Beasley: Difficult motions require councillors to have more access to constituents so they can truly represent those they serve. The student spaces levy was the perfect example of what councillors should do. Arts councillors teamed up with OASIS to host a town hall to hear the opinions and beliefs of students on the issue. This worked really well and it’s a model I hope to implement if I am faced with a similar issue. Chen: Get enough background knowledge and evaluate advantages and disadvantages. Dixon: When there is a difficult motion, I want to do my research so that I am fully informed . I then want to connect with students because I am a representative before anything else. I want to work with my fellow councillors to make a decision that benefits all rather than being adversarial and only seeing things from my point of view. Draper: If a motion doesn’t align with student interests, I will not vote for it until it does. If a motion is put towards council which goes against student interests, I will determine if the policy is salvageable. If it is, I will draft amendments. If it is not, I would vote it down and encourage my fellow councillors to do the same. I will also ensure students are given the ability to have their voice heard on these motions by putting on town halls. Isaac: It is extremely important to communicate and receive input from OASIS, as well as from various department associations within our faculty to ensure student consultation is at the core of any decision. In light of the upcoming OASIS faculty association membership fee (FAMF) renewal, student and faculty consultation will be crucial in determining the best way to determine the future of the FAMF. Additionally, with Bill 19 changing the way universities will approve Mandatory Non-Instructional Fees (MNIF), council will be a leading player in determining the way MNIF’s will be approached. Consultation will be essential in the process of effectively advocating for the outcomes the student body has in mind. Accordingly, when faced with challenging motions presented at council, I would respond by ensuring that student, department, and faculty consultation all comes into play. Omotoso: In times of disagreement, it’s a councillors responsibility to stand for student’s values despite prevalent opposition. Vargas Alba: I think there’s three main reasons people don’t attend/resign. Those are: losing council as a priority, losing capacity to be on council, and feeling useless to advocacy. I’ve made council a priority in the past, attending various meetings, including speaking at some of them. I don’t see this changing. I have the capacity to sit on council in the upcoming year, already shifting my schedule to account for the extra labour. Last, I am keenly aware of the power council has in comparison to executives, and am ready to make that well known if needed! Beasley: I made a commitment before I even announced by candidacy, and it’s a commitment I take very seriously. It’s important to me because I understand if people vote for me, they are placing their confidence in my ability to represent them. In the past, while holding other elected offices, I have respected the trust placed in me and if I elected I will continue to do the same. Not working my hardest or failing to uphold my commitment does a disservice to all arts students. Chen: I used to have commitment for students’ club. Also, I value grit as a way to success. Dixon: I won’t step down from my position and will uphold my commitments because I am not just running to be involved in leadership. I am running because there are actual issues such as sustainability, accessibility, and inclusion which impact my life every day and I want to see these addressed. For me it’s about more than a position, it’s about improving my life as a student here at the U of A. Moreover, I am not new to difficult leadership positions on campus. Draper: I have demonstrated my commitment to arts students through my time serving on OASIS. I have not missed a meeting and helped facilitate the same fulfilment for other executives. The necessity of attendance is simple, you can’t do your job on council if you’re not actually there. I will be there. Other than my demonstrated commitment, students should trust me because I give my all to anything I do. Students shouldn’t have to worry about if their councillor will even show up. With me, they won’t have to worry. Isaac: I think the simplest method for people to assess my ability to commit, be present, and dedicate myself to what I sign up for is to look at my track record with OASIS. I have been consistently in attendance at meetings, and have remained accountable to what I said I was going to do. Similarly, through my involvement with STRIDE, I attended all but three council meetings — even while not being elected. I did this in order to further understand the function of our Students’ Council and executive, and believe my involvement and attendance record can speak to my reliability as a candidate. 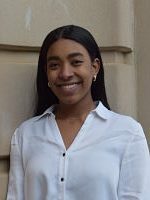 Omotoso: I already love attending Students’ Council meetings, and find it crucial for students to be aware of the decisions being made on their behalf. It would never be a burden for me to engage in topics that I’m vocal about. Many people encouraged me to run this year, because the issues we face are very important to me, so I took their advice! Vargas Alba: I would say I already have a great working relationship with most of the executive-elect, so obviously the nature of our work won’t be purely adversarial. That being said, I have no fear of addressing issues I see with the executive, (and I don’t think they should fear it either). I am a huge fan of conflict, not as a breaking down of communication, but rather as part of the process towards better ideas and better outcomes;, so I often encourage it, within healthy boundaries. Beasley: I think conflict is healthy and all the executives should expect conflict. I believe respectful conflict is important when it comes to constructive feedback. Councillors shouldn’t shy away from conflict. Conflict is particularly necessary when it comes to holding executives accountable and if the interests of arts students are in opposition with those of the executive, I would ensure that these opinions are given voice. Dixon: I will work with them to understand their point of view and make sure they understand mine fully. I want to meet [with executives] to speak with them on issues that I care about — and trying to find common solutions to problems — but standing my ground if their point of view does not align. Draper: I believe it’s important to have a strong working relationship with the executives as we are all working for the same team. However, it is council’s job to hold them to account. If the executives are not fulfilling their duties, I have no hesitation about being the thorn in their side to make sure they don’t neglect their promises. However it takes more than just annoyance to ensure the executives complete their mandates. I plan on working with the executives on their mandate to ensure what is best for students gets done. If I was personally in conflict on an issue with an executive, I would explain and try and reconcile our conflict to build a better policy. If not I would advocate my other councillors to pass amendments to the policy or vote it down so that a policy better for students can fill its place. Isaac: My primary responsibility is to represent the students. It is also important to maintain positive relationships with executives in order to implement change. Having already established constructive relationships with many of the newly elected executives, I feel more than prepared to begin collaboration. In regards to responding to potential areas of conflict, I understand that my role as a councillor entails holding the executive accountable in all circumstances. If there were a time where the opinions of the executive and my responsibility to the students I represent came into conflict, I would remain vocal and accountable to the expressed needs of students. For example, in an event such as the proposed student spaces levy where there was a clear disconnect between councillors and the executive, I believe that it is important to voice the concerns of the students in my faculty, and vote accordingly. Omotoso: I definitely look forward to working with our execs. Some of them have done great things in the past, and they’re all qualified to represent students. I wouldn’t expect major conflict, but if it arose, we would kindly negotiate.